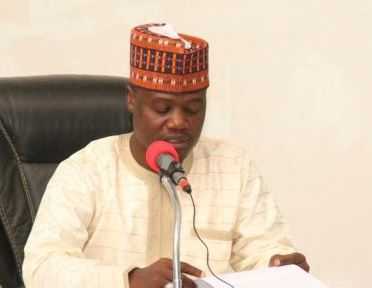 The Kogi State speaker House of Assembly, Umar Ahmed Iman has resigned after the lawmakers in the State postponed their emergence as crisis surfaced the National Assembly. Yesterday, the resignation letter of the Speaker was read to the lawmakers by the Clerk of Kogi State National Assembly. The same yesterday, the Kogi State lawmakers postponed sitting at the house till further notice after a crisis skyrocketed on Tuesday over an alleged plan to revoke the majority leader of the house, Matthew Kolawole. After the speaker’s resignation, the lawmakers however met together at the house yesterday after hearing Ahmed’s resignation letter and with immediate effect, they elected Honourable Kolawole as the new speaker of Kogi State House of Assembly. Honourable Kolawole is said to be a good and close supporter of the state governor, Yahaya Bello.